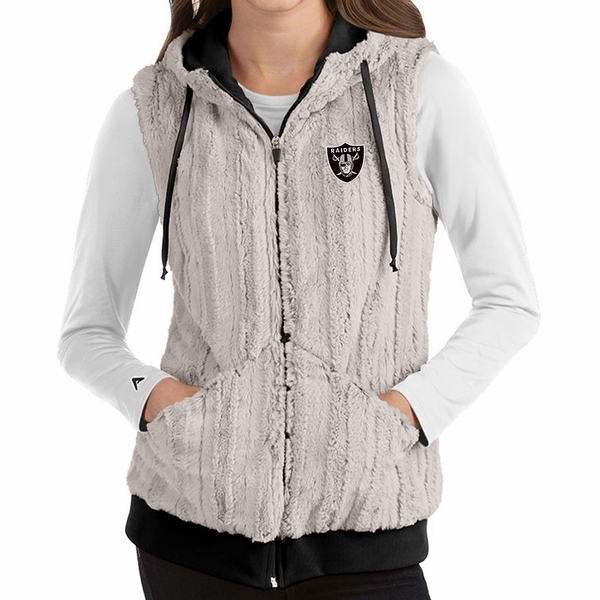 Stand out in the crowd while you stay warm and cozy on game day with the Raiders Antigua Women�s Rant Vest! This faux-fur hooded vest features on seam pockets, drawstring hood and Raiders shield logo stitched onto the chest. 100% polyester.